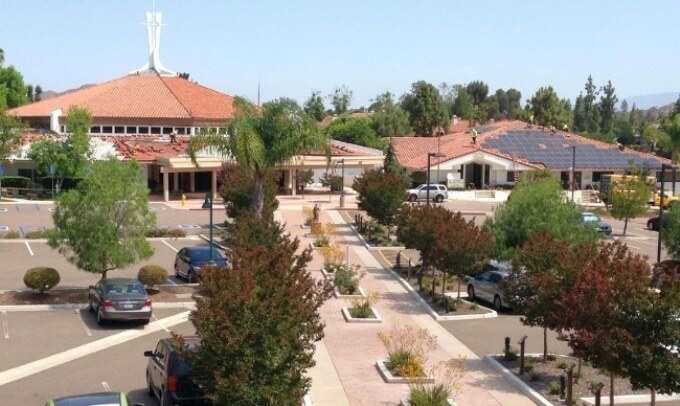 Stellar Solar, one of California's leading commercial and residential solar installers since 1998 has completed nearly all of a planned 125.5kW installation at San Rafael Parish in the Rancho Bernardo neighborhood of San Diego, pending inspections and certification. The impressive photovoltaic solar energy system uses (408) LG 315-watt modules, complimented by SolarEdge monitors and inverters; it is scheduled to be operational by mid-August 2016. Most notably, the job features four separate installations across the church campus, including the Parish Hall, Church, Rectory and Pastoral Center. Michael Powers, Co-founder of Stellar Solar, said: "We love bringing solar energy to faith-based organizations across southern California and we're excited to announce our latest project with San Rafael Parish in San Diego. This was a unique job, which was essentially four installations in one. We loved the challenge of working across a mix of roof styles including clay tile along with sections of flat roofing." Monsignor Dennis L. Mikulanis, Pastor of San Rafael Parish, explained the church's goals: "Frankly, we see solar energy as an important example we can set: to be good stewards of God's earth. The Holy Father addressed this topic in his encyclical Laudato Si last year and then in December, Bishop McElroy said he wanted to see all the parishes in San Diego exploring solar, so we knew it was time for us to move forward." He added: "Our energy costs have also continued to rise, of course, and that impacts our ministries directly. We serve over 3,100 families in our parish and the savings we expect to see in the next few months will help us to serve more of our parishioners and serve them more effectively." With a fairly large campus in Rancho Bernardo, San Rafael Parish paid almost $100,000 in electricity costs last year. By deploying rooftop solar on four buildings, the parish's annual bill is expected to shrink by almost 75%, to less than $25,000. "At that rate, we expect this investment will pay for itself in savings very quickly," the pastor said.